• Waterproof leather upper resisting to fire with handles for quick donning. • Cambrelle lining for added breathability & abrasion resistance. • Double Radiantex® felt insulation laminated with leather to protect from thermal radiation. • Waterproof membrane resistant to various pathogens. 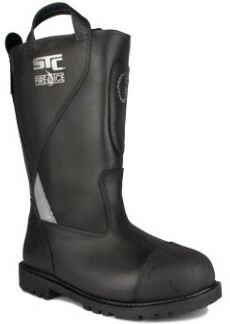 • Removable STC molded insole made of PU foam. • Metal-free Lenzi® composite puncture-resistant plate.